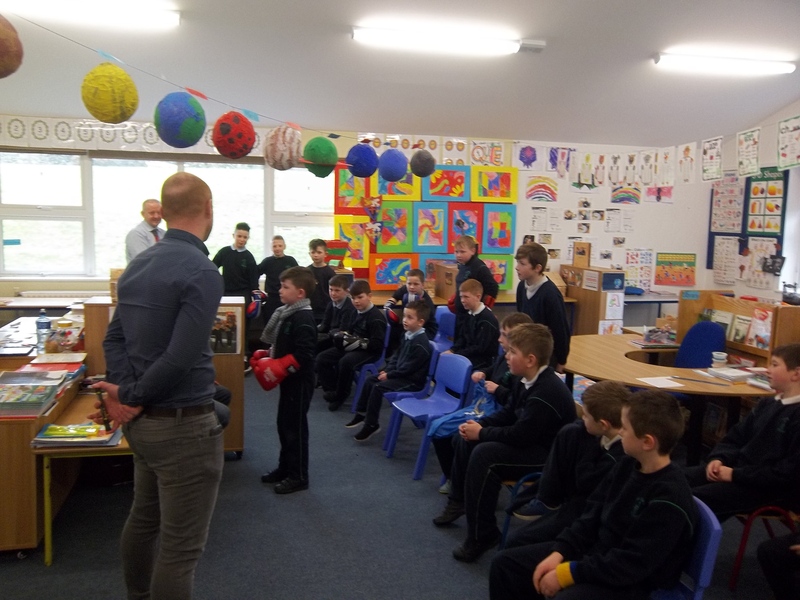 Hurling coaching with Eoin Pilkington is going very well and it is also great to see Junior Infants and Senior Infants playing on wednesdays . 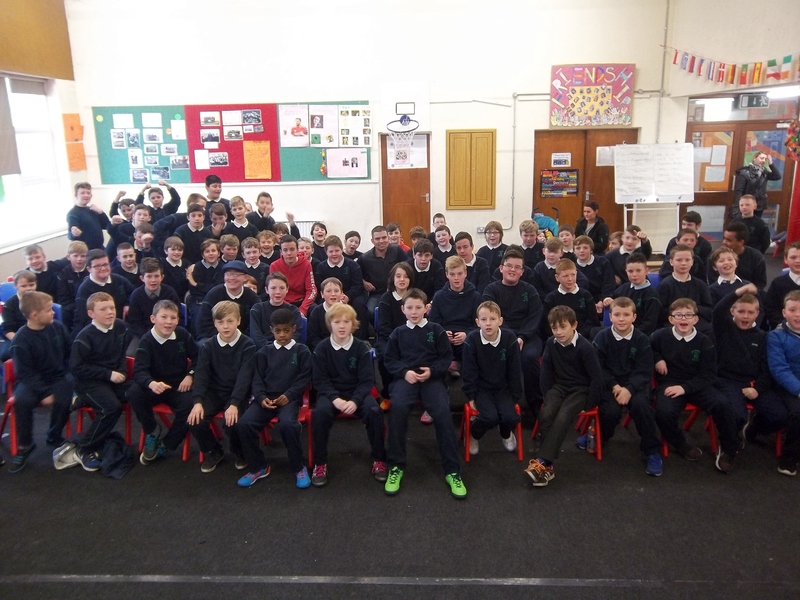 Lunchtime hurling for all boys continues each Tuesday. 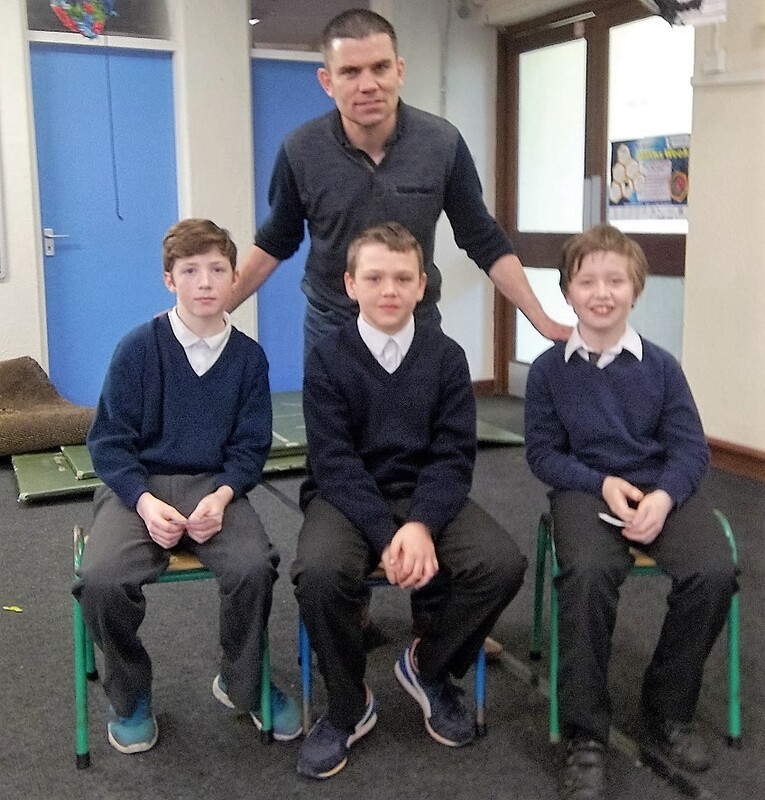 Mr Kennedy has also set up a lunchtime hurling league for junior boys ( 1st—3rd) and is a great success on the top field. 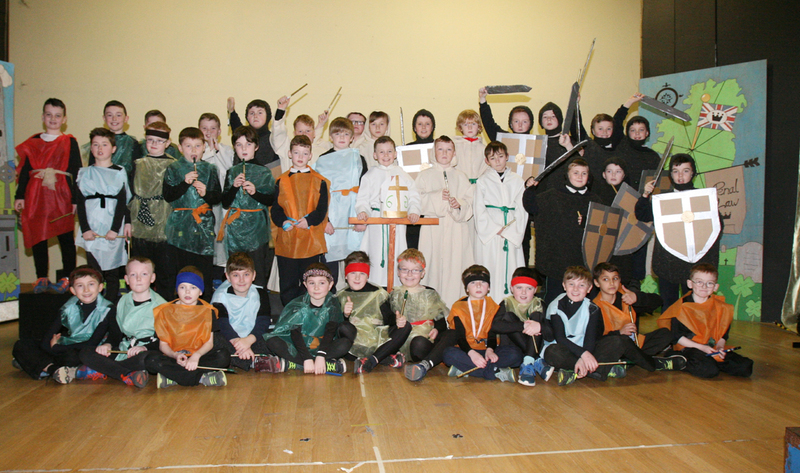 The order for hurls and helmets under the Cumann na mBunscoil has been submitted. We will contact families who have placed orders in the coming weeks. 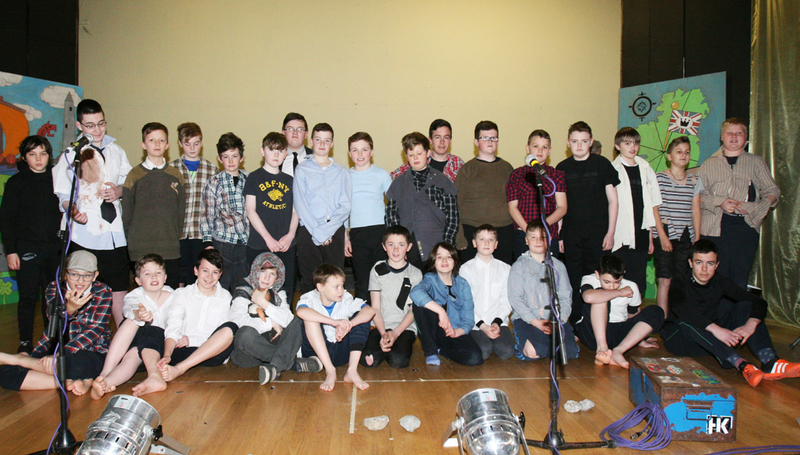 Well done to all the boys who took part this year. We had a great entry and thanks to all the teachers and Mrs. Kelly for promoting this great event. 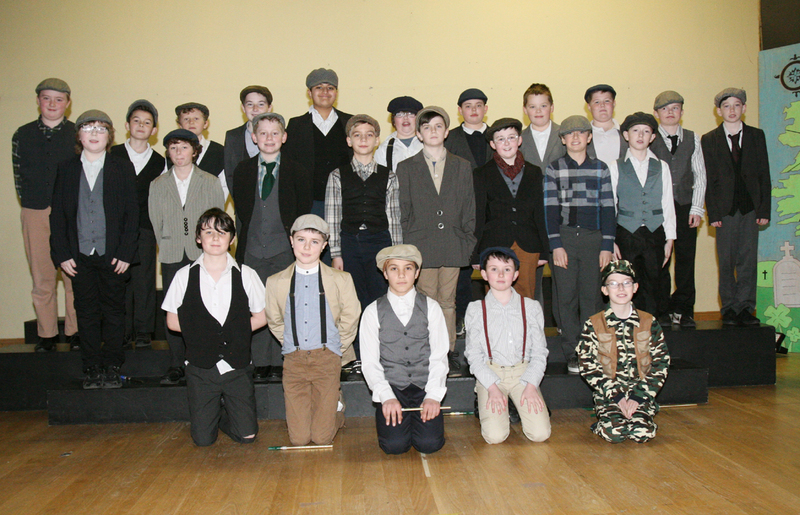 Special mention must go to the artistic boys in 5th class who had some fantastic entries. We hope to hear from Catherine Barry after the Easter Break about any medal winners we had. 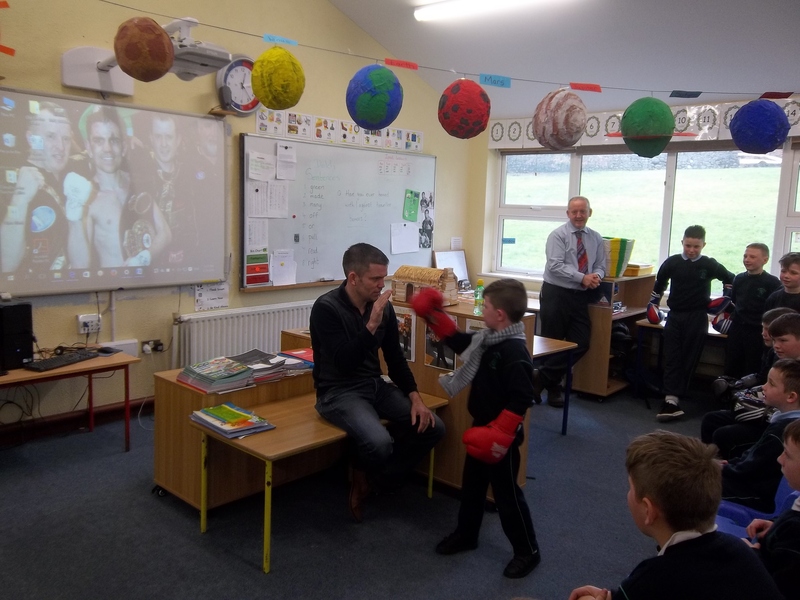 We were delighted to welcome former world champion boxer and Irish legend– Bernard Dunne to the school in February. 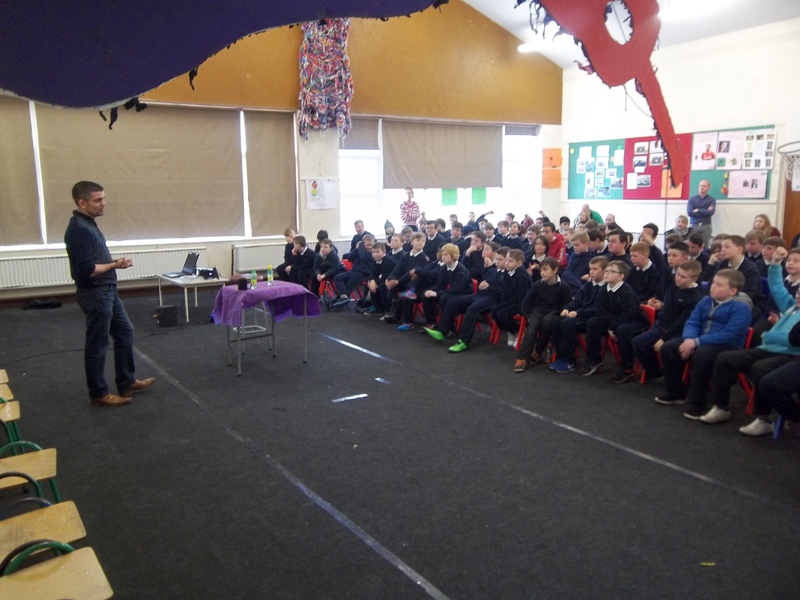 The visit was arranged through Carembola ( Lunch provider) for Bernard to visit the school and speak with the boys as a motivational life talk. 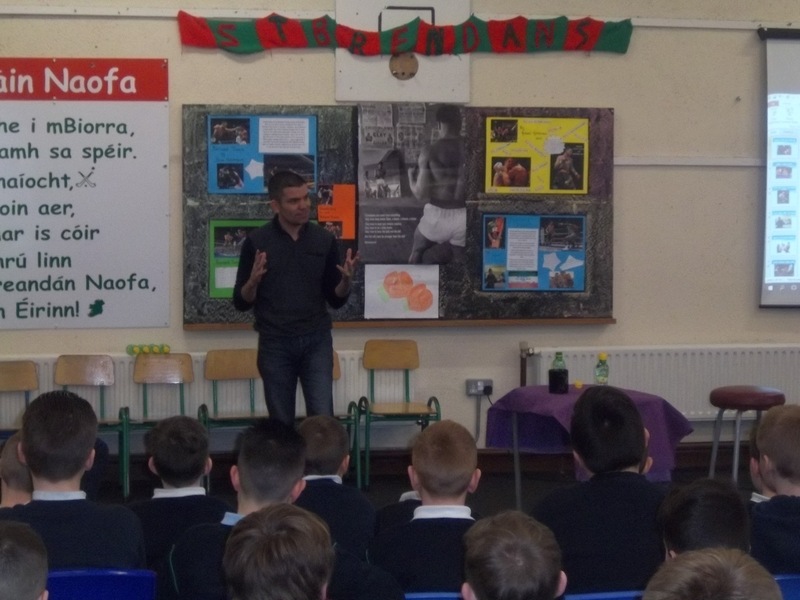 He spoke about his career, life choices and the benefits of living a healthy life through healthy diet and sport. He held the packed hall of over 200 captive for over an hour and the boys found him really cool and entertaining. 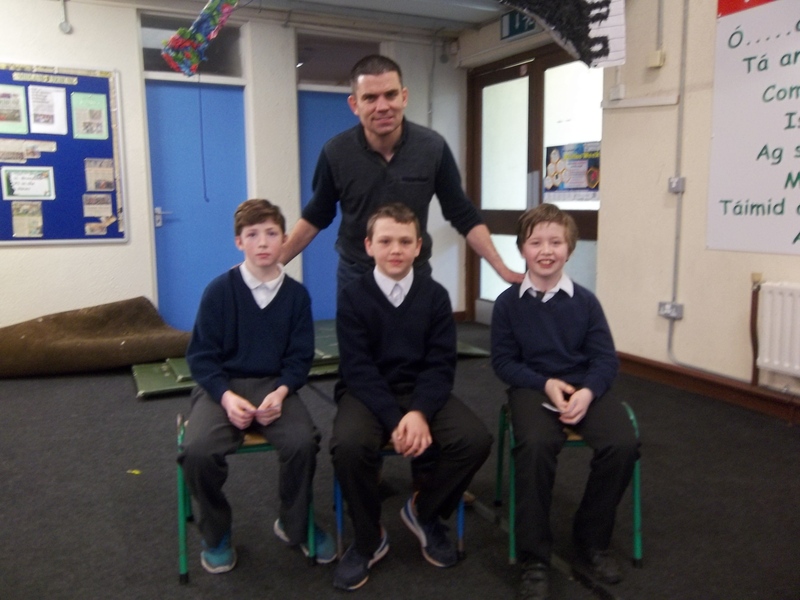 As a spokesperson for promoting “ labhairt gaeilge” he was delighted to be interviewed by three 6th class pupils– Kyle / Seosamh and Sean. 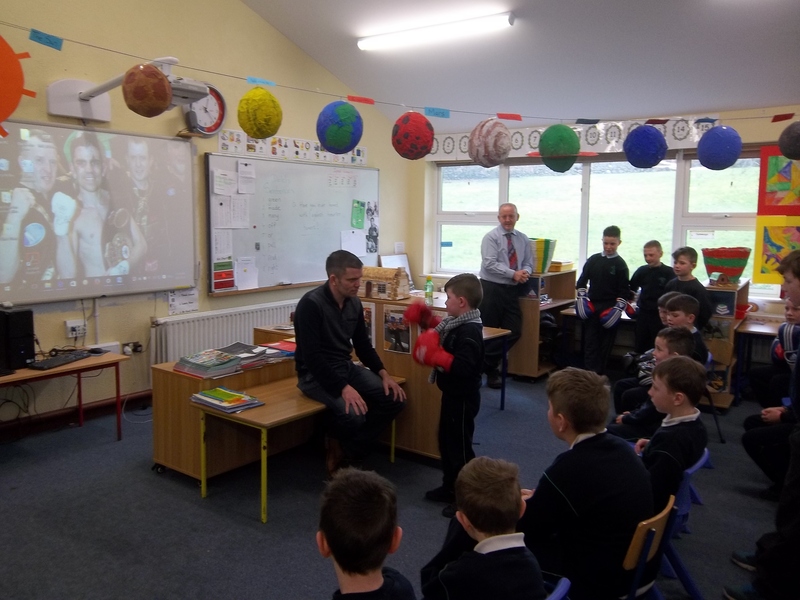 The boys earned the “ chance of a lifetime” to interview Bernard by doing extra gaeilge work at home in creating questions: Ar feabhas buachailli ! !